FREE, one of over 200 mini-love-lessons touching the lives of thousands in over 190 countries – worldwide! Synopsis: Here you learn about the incredibly important differences between having and feeling love and knowing how to do love relating. 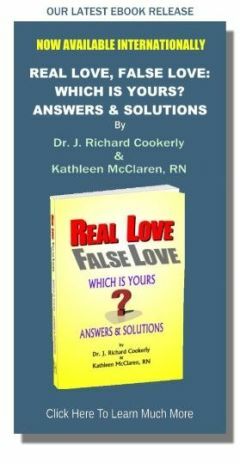 Also included is intriguing info about acquiring good love-relating skills in this highly significant mini-love-lesson and more. It turned out that, like so many people, these eight participants had not given love or love-relating the kinds of study, research or thought that leads to success in every other major area of life and human endeavor. That is, not until they experienced the intense agony of breaking up and becoming brokenhearted along with at least semi-dysfunction in their everyday lives. It was only then that learning about the how to’s of love success and love-relating became a major imperative for each of them. Ernie put it this way; “Breaking up hit me in the gut a lot harder and got me down a lot longer than I ever would’ve thought possible”. Helena remarked, “It was the same for me. Now I want to learn everything I can about love. The more I learn the better I feel and the better I do with myself and with the people who really count in my life”. Love is a naturally occurring process phenomenon, sort of like metabolism, neuro-cognition, immunity mechanisms, cell regeneration, etc. It occurs naturally in higher order species and maybe in others also. Real love has great survival value and is both healthy and healing. While love is natural and the potential for it is inborn, love-relating has to be learned. The better you learn and practice love-relating skills, the better you are likely to do at love. It also seems that the less you learn about love relating skills, the more likely you are to have serious love relationship problems. The same is true if you don’t consistently do deliberate, improvement oriented practicing of your love-relating skills. Are You Setup for Love Failure? Around the world, much of romantic, love mythology sets us up to fail at love relationships. That is because around the world a very easy to make common mistake has been repeatedly made in numerous cultures and societies. It is kind of like the once super common mistake of thinking the Earth was flat. You too, like so many of us, may have been trained to make this common mistake about love. This is the mistake. To confuse feeling, experiencing and having natural love with thinking that, therefore, you will naturally know how to DO love-relating and, likewise, so will the person who you hope will love you back. Having love and love-relating are two, distinctly, different things. Having love for someone emerges naturally and is part of a natural, vital, life process. Love-relating takes learning and practicing. Without Good Love Relating, We Tend to Fail at Life and Love! If you want your loved ones to succeed at life, learn good love-relating and regularly dose them with what you learn. If you want to succeed in life, learn love-relating and do not forget to include receptional love-relating and healthy self-love. Then practice what you are learning often. Those are some of the conclusions flowing from contemporary research in loveology “Is there really a new field called Loveology?”, the new science of love. It is love-relating which delivers love to us. Without love we malfunction psychologically and biologically. More technically, receiving the behaviors which convey, send and demonstrate love triggers vital psycho-neurological processes within us which have highly important health benefits. Doing the behaviors of giving love has similar benefits for the doer as well as the recipient. To give and get healthy, real love requires and is the essence of love-relating. Successful love-relating requires learning and practicing love-relating skills. Having and feeling love does not teach you the how to’s of love-relating. That, we all have to learn. Remember, depending on the natural process to do it all takes to have a successful love relationship is like a farmer depending on mother nature to do all the work of farming i.e. planning, tilling, planting, fertilizing, protecting, nurturing, harvesting, transporting to market, etc.. Families, which are started with couples relating, are people farms and love-relating is the prime, necessary work of raising the people farm’s crops. Some people grow up in families in which people practice good love-relating skills. They do not know they are learning those skills but subconsciously they are. So, we use terms like learning by osmosis or non-conscious socialization. The trouble is a lot of people are learning bad or anti-love relating skills the same way. Some people are like the laboratory monkeys who got just enough love behaviors coming their way to keep them alive but that is all. They grew up in non-loving environments and never learned to share love actions with other adult monkeys or do loving behaviors toward younger monkeys. Consequently, they became depressed, anxiety ridden, unable to bond or parent well, and were quite socially maladaptive in their monkey tribe. They also died early. However, a few such love-malnourished monkeys seem to have watched the more loving monkeys very carefully and learned some of the love behaviors which then made their life somewhat better. All that is pretty much just like humans do. Now we know that the same is true of most higher order species and maybe others. The second way to learn love relating is by consciously and purposely studying and practicing the successful ways to do love relating. It is important to realize that, like swimming, you really have to get into the water and practice over and over. Your actions can not just be repetitious. They have to be actions moving you toward continued improvement and refinement so that you grow ever more skillful at love-relating. You can not just think about it, or just do informational reading and fact absorption, although those actions can be quite helpful. Another very important part of this second way is similar to singing duets or playing doubles tennis. It takes really good practiced, coordinated teamwork for couples and families, deep friendships, etc. to do love well together. Without love-relating teamwork, two very loving people still can seriously dysfunction as a couple. That is like two really good singers singing different songs at the same time. They just make noise instead of music. Therefore, practicing love-relating improvements together is best for getting good love teamwork to develop. The behavioral sciences just now are beginning to get a really good handle on what it takes to do good love-relating. It turns out what they are discovering is not exactly new news. Many sages, seers and wisdom masters of old tried to teach us what we had to work at for learning to do love well. Plato, Ovid, St. Paul, Rumi, Lao Tse Tung, and a host of others had things to say about what we had to learn and practice for love to work well. A fair amount of what they taught about love-relating is now being rediscovered, supported and confirmed by modern research. What is not much supported is some of our Western, standard, romantic love conceptions which stem from the 1200’s and the medieval French Courts of Love but still predominate in many parts of the world. Love-Relating, What Is That Exactly? Love-relating has to do with anything and everything effecting the way creatures in love relationships relate with, for, through, and about love. Put more simply, love-relating has to do with all the ways we can relate to each other via love. 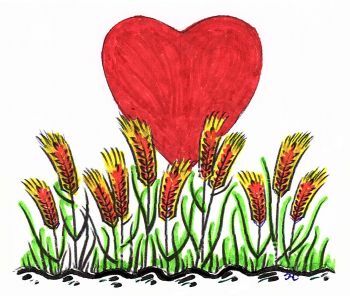 More completely, love-relating has to do with the relational actions of establishing, nurturing, growing, maintaining, healing, improving, benefiting from and enjoying a love relationship. It also is about communicating with and for love, emotionally connecting with and for love, bonding with and for love and mutually enhancing and enriching one another via a love relationship. Love-relating also has to do with the behaviors that give (send, convey, trigger, inspire, deliver, apply, emit, present, etc.) and get love, as well as with the thoughts and feelings which transpire in the getting and giving of the love process. Love-relating can be done excellently, well, mediocre, poorly, badly or not at all. To do good love-relating requires relating skills and, therefore, skill development. Good love skills development requires learning and practicing, honing and perfecting and desiring to always improve further. Most importantly, love-relating at its core requires the existence of healthy, real love. That love motivates the development and practice of love skills which can lead to high, strong and lasting love relationship success. Without learned and practiced, deliberate love-relating actions, we are outer-dependent on things like luck, fate, etc.. Even if you are extremely lucky, your love life will not be as good as it could be with well learned, good love-relating skills. Are You Up for Learning Good, Love-Relating Skills? Have you hoped that you would be lucky in love and that would take care of it? Were you one of the lucky ones that grew up in a healthy love-relating family and by osmosis you absorbed the how to’s of good love-relating? Or were you like so many of us, in need of doing the work of deliberately learning good love-relating skills? Either way, are you going to do what it takes to do love pretty much as well as you can? Much of the world we live in is not very loving and certainly not very good at teaching or motivating us to learn the skills of good love-relating. Some people in some religions have tried hard to do it better while others in the same religions were busy at anti-love ways and doing more harm than good; somewhat similar things can be said about philosophy and psychology. Skills of love-based cooperation vie with those of greed-saturated competition. Aggressive attack and destroy power in many places is extolled over that of assertive, co- constructive mutuality. Seeking I win, you lose outcomes is portrayed much more often than I win, you win, nobody loses outcomes. Nevertheless, the last thousand years of history, or so, shows humanity in spite of major setbacks, creeping slowly upward toward a world lit with the light of love and out of the darkness of anti-love and indifferent, non-love. In such a world, it is hard to find good, healthy, real love-relating knowledge but more and more it can be done. And with that knowledge, you can base your practice of love skills and make at least your part of the world a bit more love filled. You also can teach and encourage others to do the same. That is the challenge of love in our world. ♥ Love Success Question: How much delight and deep enjoyment do you think you can create for yourself and maybe also for others by exploring and developing your love-relating skills? Help spread the word. Knowledge about love helps! So, how about telling someone about this site and our free mini-love-lessons? Willing and Ready for Love? Yellow Love: Are You Suffering from It and Don’t Know It? Startup Love is Never Enough !